In 1928, Mickey Mouse made his film debut in Steamboat Willie, the world's first synchronized-sound cartoon. Created by emerging filmmaker Walt Disney, Mickey would soon become the iconic face of childhood. 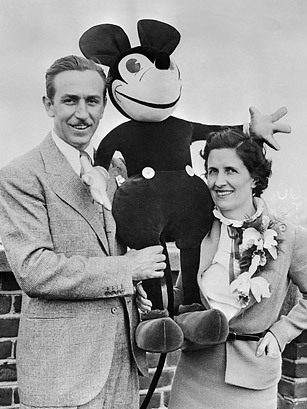 In 1930, a woman named Charlotte Clark was commissioned to create the first stuffed Mickey Mouse doll, and much to Disney's delight, it became an instant must-have for children across the U.S. It was just the beginning for Mickey, who would go on to star in countless animated features and movies as well as Disney's international line of theme parks and video games and toys. See TIME's 1988 cover about Mickey Mouse.